Many of the oldest golden artifacts found are from Egypt, starting at around 6000 BC. The main sources of gold during this time are is called Etbai. Archeologists have discovered many ancient facilities in these areas that have been used for gold mining and production. The ancient method of Egyptian gold mining and production included breaking the stones which include gold down under heat. These stone blocks were then further pulverized, making it easier to wash out and filter the materials. The main problem was acquiring substantial amounts of water, and it was very beneficial to have a goldmine close to a water source as transferring large amounts of water was very problematic. Nowadays the same method is used, except much more precise and scientific, less crude and far more efficient. Soil analysis is taken to estimate the amount of gold in the soil and whether it would be possible to profit from mining it. By far most soils are not worth mining in. Instead of the old manual ways, pipelines can now be used instead of having to be close to a river, and machines have replaced much of the manual labor. The richest and most heavily mined soils for the acquisition of gold are located in a relatively small part of the Southern part of Africa, such as Johannesburg. 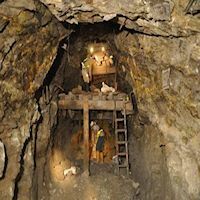 Nowadays goldmines are dug to a depth of up to several kilometers underground. For these reasons, Johannesburg is home to very advanced mining technology/equipment. Almost all of earth’s gold is hidden deep in its crust. The reason this area in South Africa is so rich in gold is because of a meteor hitting the earth there about 1 billion years ago, bringing much of the gold that was hidden underground in that area to the upper layers of the earth. It should be noted however that a substantial amount of the gold circulated today has been in circulation for hundreds and sometimes even thousands of years, as gold is often remelted into different shapes as fashion changes and older models are no longer wanted. Gold (Au) is number 79 on the periodic table. 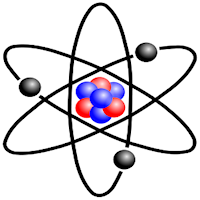 The atom core of the yellow metal contains 79 positively charged protons and 79 negatively charged electrons. 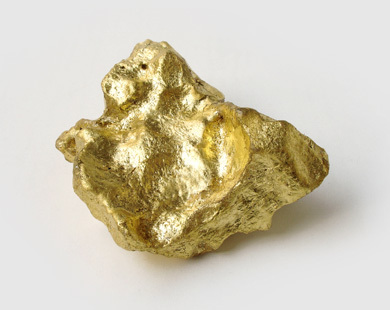 Gold has an atom weight of 196,967. Furthermore, gold has 118 neutrons, meaning neutrally charged. Although some substantial chemical reactions can occur in laboratories, in general nature gold is considered one of the least reactive metals. In that aspect, gold is an extremely resilient and durable metal. Unlike other metals, gold is also unable to directly oxidate. Gold has a relatively large mass density, around 19,3 grams per cubic centimetre (19,3gr/cm²). Gold is the seventh most dense element and fifth most dense metal on earth. The small list of elements with a higher mass density are (in order): Osmium, Iridium, Platinum, Rhenium, Neptunium and Plutonium. The melting point of gold is 1063 РC / 1336,16 K. After gold cools down again to room temperature its mass shrinks by about 2%. It is very easy to take out of a mold for this reason. Another important chemical property of gold is that it is one of the best conductors. There are better conductors, but they are not as chemically non-reactive. For this reason pretty much every piece of electronics contains some gold. The average desktop computer contains around two grams of gold. Gold carat is used as a measurement for the purity of golden jewels. Pure gold is 24 carat gold. 24 Carat gold is mostly used for gold trading and as a very early step in fine jewel production. Almost no jeweler uses 24 carat gold for jewels for several reasons. 24 carat gold (pure gold) is very hard to work with due to its brittle nature, making it hard to shape. However, assuming it is poured in a mold and require no physical modification, pure gold is still of little use in jewels because it is much more prone to break, acquire scratches and change shape from pressure. Considering longevity of each individual jewel is one of the biggest priorities of each jeweler, a mix of very strong metals are added to the mix, such as titanium. Most fine jewelers use 18k as a standard, because of its high gold purity yet strong nature. Gold jewels under 18k, such as one of the standards which is 14k is considered too low by fine jewelers. On the other hand, 22 which is the standard in many Asian countries, is considered not durable enough for long time wear. Many fine jewels are set with diamonds, only increasing the need for other strong metals to be to keep the valuable gem in place. In short, 18k gold ensures the high gold purity while maintaining durability for many years. A very interesting fact regarding gold carat is that white gold does not exist in a pure form. White gold is actually yellow gold, but a mixture of white metals causes it to appear white, differentiating it between yellow gold.